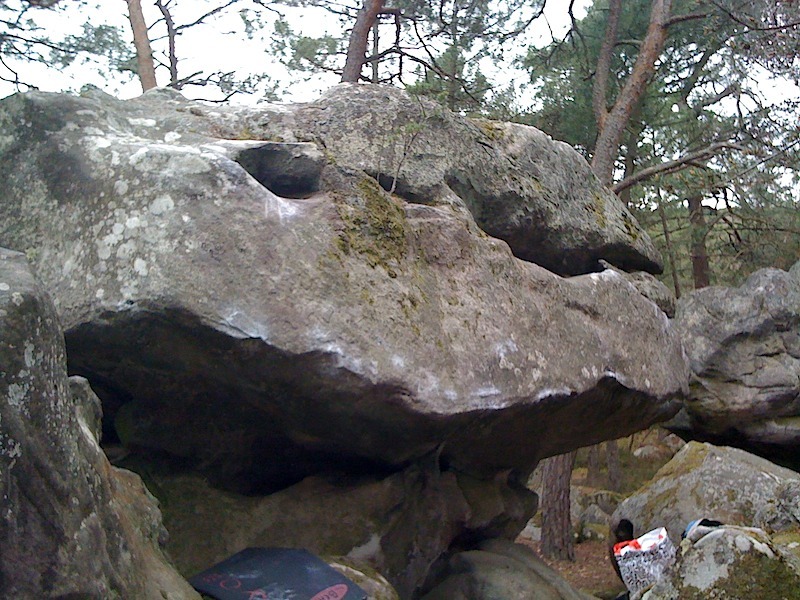 On the backside of the boulder of yellow n°10, in the Western part of the area. Sitstart as for Broken Heart, traverse to the left on the ledge of the roof, continue after the start of L'Amour Fou up to a bidoigt left hand on the left arete and exit above. Une traversée vraiment plaisante, une ligne bien classe! Merci à l'ouvreur!